Become an Archive Volunteer or Intern! 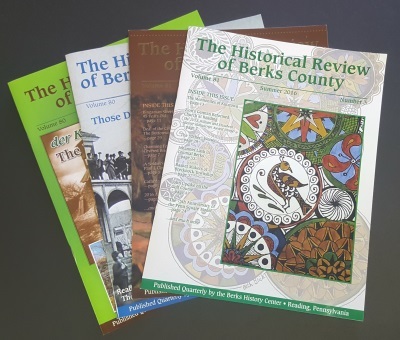 Berks History Center Research Library volunteers are vital to providing high quality services and resources to our patrons. Without the generous gift of our volunteers’ time, we would not be able to offer as many services as we do. The BHC seeks volunteers with a passion for local history and/or family research and who wants to share their passion with others. Library staff will work with individuals to match them with opportunities that best suit their schedule, skill set, and individual interests. Our primary need is for volunteers who would like to assist library patrons in our Research Room. These volunteers greet visitors, retrieve material, make photocopies, guide researchers in the use of our collections and finding guides, and answer researchers’ questions. More experienced genealogists, may help provide one-on-one assistance with our patrons, such as brainstorming possible resources, assistance in deciphering information, or basic research questions. Training is provided, and library staff is always available to assist volunteers. Researchers routinely comment on the friendly and knowledgeable guidance they receive from our dedicated group of volunteers. Experience with genealogy or historical research is not necessary, but is certainly welcome. We also need volunteers to assist with processing projects to help make our collections available and accessible to researchers. A variety of projects are available on an ongoing basis, including bringing order to original material, describing that original material and entering that information into our cataloging databases, as well as digitizing and arranging photographs. Other special projects are always available, so if you have an interest in something specific, please ask what our current needs are. If you have a specific skill, such as knowledge or German, or an extensive knowledge of a particular historical topic, please let us know and library staff would be happy to discuss possible projects that utilize your skill. All volunteers receive initial training and orientation, but are free to work independently, at their own pace, or with other library volunteers and staff. Staff is always available to answer questions and provide guidance. Library volunteers enjoy working in an exciting and friendly setting that sparks their intellectual curiosity. Volunteers and patrons always end their day having learned something new and having made new friends. To become a volunteer, please complete our VOLUNTEER OPPORTUNITY FORM. Have questions? Please contact Archivist, Stephanie Mihalik at library@berkshistory.org to learn more about current volunteer opportunities. Internships are available for qualified undergraduate and graduate students throughout the year. Interns gain hands-on experience in the proper care and organization of archival materials. Students interested in careers in libraries, archives, museums, historical preservation or public history education are strongly encouraged to apply. To learn more about our internship program, please contact Archivist, Stephanie Mihalik at library@berkshistory.org. Certificates must be presented on your first day of volunteering. For a copy of our Child Abuse Policy, please click HSBC Policies – Child Abuse Policy 062015. For a copy of our Code of Conduct Form, please click HSBC-Policies-Staff-and-Vol-Child-Welfare-Code-of-Conduct-063015.